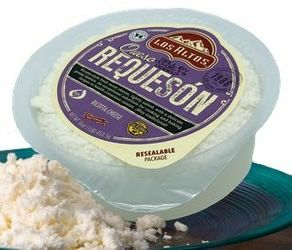 Los Altos Queso Reques�n is the Hispanic Ricotta. This white cheese is soft, moist, and grainy in texture. Lower in fat and salt, Queso Reques�n is appropriate for salads, baked entrees and desserts of the health-conscious consumer.